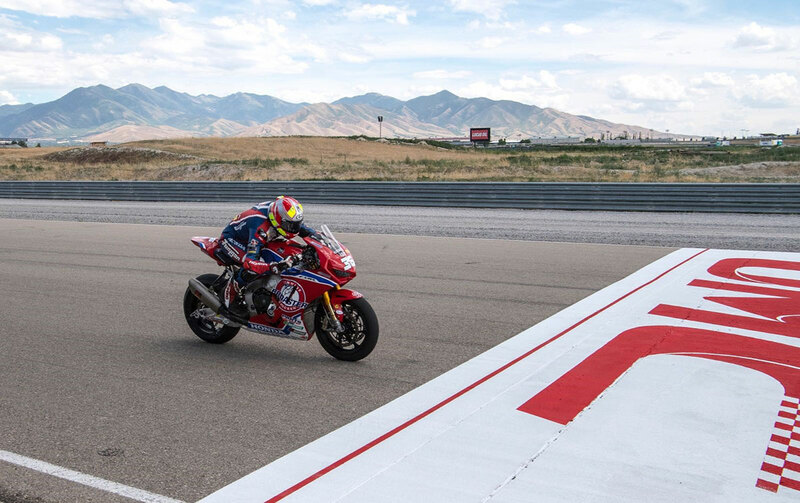 Jayson Uribe proved that ‘bad practice, good race’ is a real racing motto after overcoming a number of tech issues aboard his Genuine Broaster Chicken Honda to grab his first ever top ten in the latest round of the MotoAmerica Superbike series at the Utah Motorsports Campus yesterday. Limited laps on Friday following an engine failure early on in FP1, Jayson never turned a wheel in FP2 as his crew set about a complete engine change. The Californian would eventually qualify for the event, albeit outside of Superpole. Eleventh in the opening seventeen lap encounter at the three mile Utah Motorsport Campus, Uribe used all of his skill to finish the race after his front brakes failed on lap five. The result, coupled with an impressive second race, showed that his debut performances in Superbike during the WorldSBK weekend at Laguna Seca a few weeks ago were no fluke, the #36 romping to ninth at the flag in yesterday’s encounter. Uribe, who returns to MotoAmerica this year after several successful seasons in BSB, the French STK600 series and the ultra-competitive FIM CEV Repsol European Moto2 Championship, is relishing the opportunity to showcase his talents on a Superbike and has his eyes on his next outing at Sonoma on the weekend of August 11th/12th.